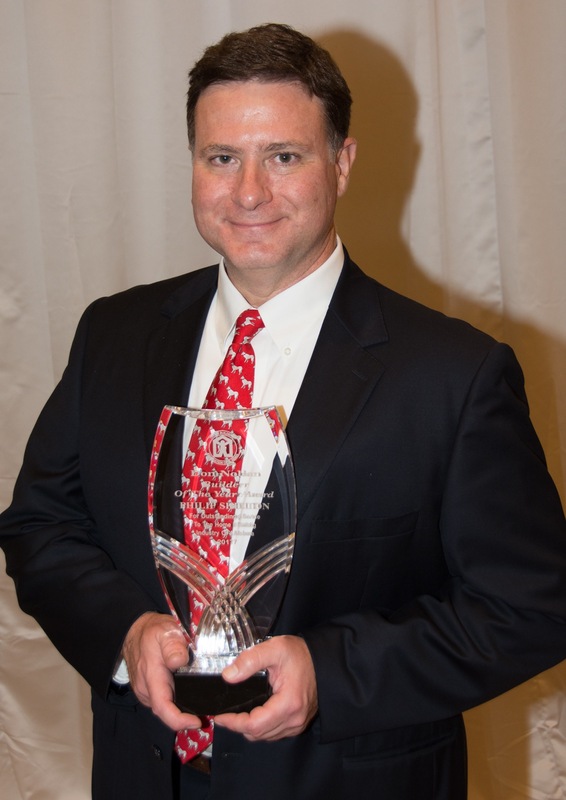 Montgomery, AL – Philip Shelton of Decatur has been named the Home Builders Association of Alabama (HBAA)’s Don Nolan Builder of the Year for 2017. Shelton was honored during the HBAA’s Convention awards presentation on October 27, 2017, at the Henderson Beach Resort in Destin. The Don Nolan Builder of the Year Award recognizes a builder member from a local association with fewer than 500 members who has shown outstanding service to their local and state associations, their community and the building industry as a whole. Shelton, of Shelton Construction, Inc., is a member of the Greater Morgan County Builders Association (GMCBA). He has served on numerous committees for the organization, including the personnel committee, the nominating committee, the Home & Garden Show committee, finance committee and Habitat building committee. He served as chair of the governmental affairs committee and served three terms as GMCBA president. At the state level, Shelton has served on the HBAA executive committee and has chaired the HBAA Remodelers council. In 2015, the National Association of Home Builders named Shelton the Graduate Master Builder of the Year. He also was named the HBAA Remodeler of the Year in 2011 and his work has been recognized with several Alabama Remodeling Excellence Awards.